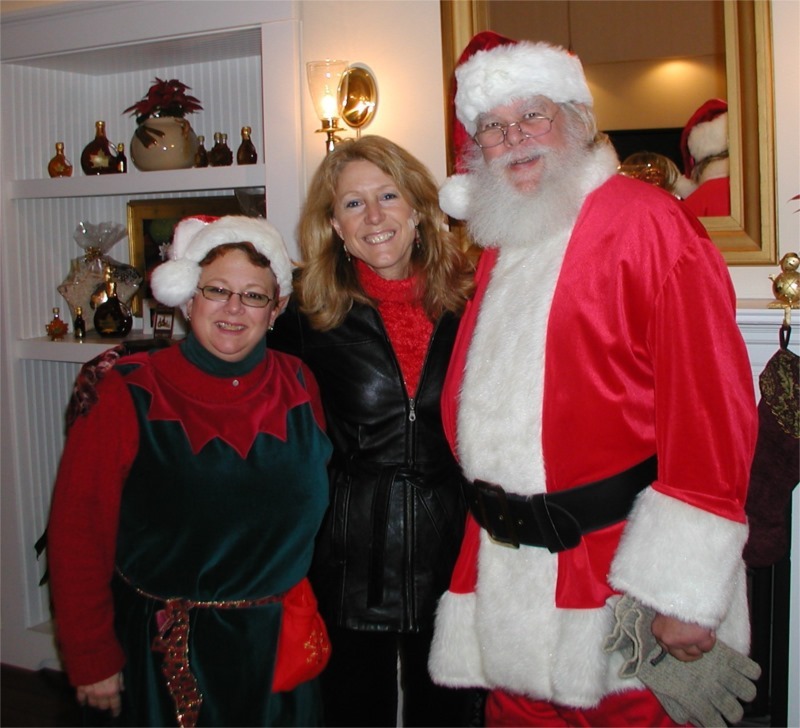 Vicki Doudera here, ready to celebrate the season with our 28th Annual Christmas by the Sea Celebration, which gets underway today here in Midcoast Maine. If you want to get in the holiday spirit, it would be an absolute crime to skip this weekend-long event. There are loads of fun adult and family-friendly activities, and many of them are free. Take it from me, your trusty holiday girl-in-the-know – these are the highlights you won’t want to miss. 1. Don’t Miss the Kickoff Parade. Literally… don’t miss it… because if you are not on Main Street in Camden at 6 pm TONIGHT, you very well could! The brainchild of Camden and Rockport’s Cub Scout Pack 200, the parade has grown from one float (me and lots of cub scouts and a few Dads throwing candy) to a larger, brighter affair. But while the parade has grown tremendously over the past few decades, it’s not quite the size of Macy’s. So if you dip inside a store, be sure to keep an eye on the time. 2. Take the Walk Through Bethlehem. Unless you really, truly dislike the religious underpinnings of Christmas, be sure to head to the Chestnut Street Baptist Church anytime from 6:30 to 9 on Friday or Saturday to see this amazing live theatre event. You’ll sing carols in the church first and then be led with other members of your “tribe” through the church’s rooms to experience the story of Jesus’ birth. Very moving and an amazing volunteer effort. 3. 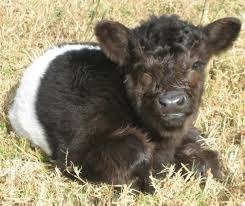 Moo with the Belties at Aldemere Farm. 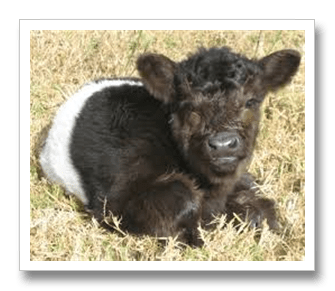 From 9 to 12 on Saturday, you can visit Aldemere Farm in Rockport, have a cup of cider, make a craft, and visit with Maine’s cutest cows. Don’t ask my why this is a Christmas-y event but there is something about being around farm animals that brings to mind stables in Bethlehem. 4. Browse a Fair… or Two…or Three! Holiday fairs abound on Saturday, from one at the First Congregational Church of Camden (9 to 2) featuring local artisans and their work, to the Holly Berry Fair in Rockport’s Opera House, hosted by the Rockport Garden Club (8 to 1) to the St. Thomas Episcopal Church Fair (9 to 2.) These fairs are fun to browse and are great places to find unusual gifts. 5. 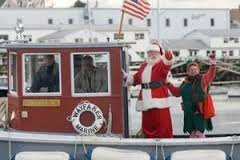 See Santa Come into the Harbor by Boat. 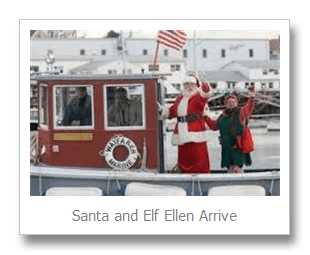 The jolly man himself and his cheery Elf Ellen will motor into the harbor at noon on Saturday to hand out candy canes and read a story at the Camden Public Library. Such fun to watch the happy little faces see St. Nick! 6. 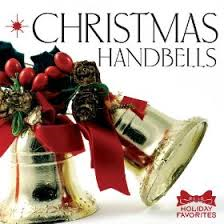 Hear the Christmas Bells like You Never Have. 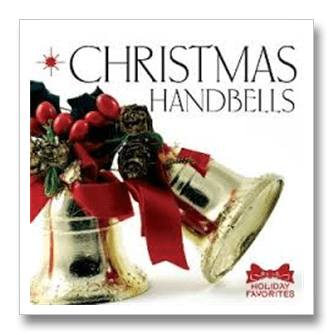 At 4 pm on Saturday, various bell ringing groups combine in a Ringing in the Season concert that will put you in the holiday spirit for sure. Held at the First Congregational Church of Camden, this event is free but a goodwill offering for a local nonprofit is taken. 7. Tour a Historic Home or Two. Tour a magnificent cottage home decorated for the holidays in Camden, or a historic Thomaston home spruced up for Christmas. Held both Friday and Saturday. 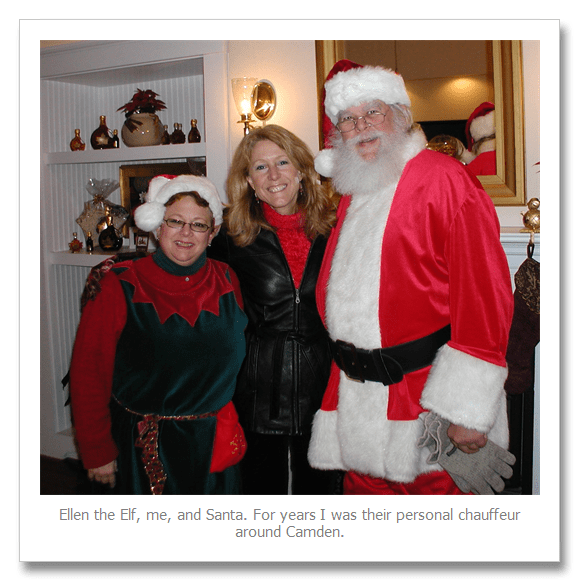 Camden’s is sponsored by the Camden Garden Club, while Thomaston’s Home for the Holidays House Tour is put on by the Thomaston Historical Society. 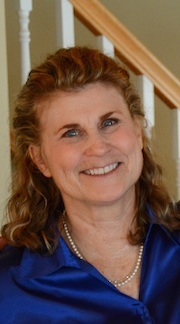 Many more activities are listed online at the Penobscot Bay Chamber’s website. Whatever you do — have a wonderful weekend and look for me out and about! 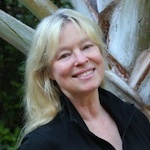 This entry was posted in Uncategorized, Vicki's Posts and tagged Christmas By the Sea Camden Maine, holiday, Santa, Vicki Doudera. Bookmark the permalink. 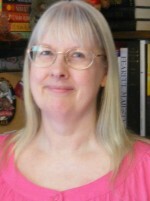 Looking forward to being there at Sherman’s Friday night, Vicki! If only I could teleport myself, Id be there. It all sounds wonderful.